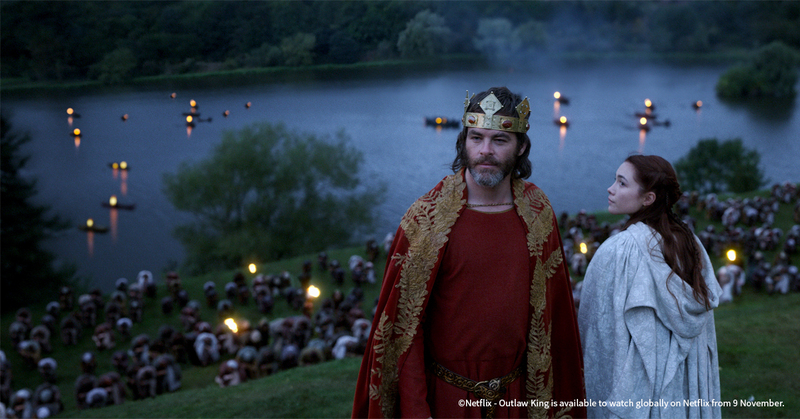 While American actor Chris Pine takes the lead role in the new Robert the Bruce Netflix epic Outlaw King, the real star of the show is Scotland itself. Shot last year and costing an estimated £85m – the biggest budget movie ever made in Scotland - Outlaw King makes the most of our awe-inspiring scenery and historic buildings to draw film fans into the heart of the action. Eagle-eyed viewers will spot such familiar locations as Glasgow University, Glasgow Cathedral, Linlithgow Palace, Doune and Craigmillar Castles, and Dunfermline Abbey. Directed and co-written by Scot David Mackenzie, the film, which benefited from a £1m investment from Creative Scotland, is just the latest in a long line of movies and TV shows to be shot in Scotland. Outlaw King was also Scotland’s biggest ever single film training event, with 35 trainees experiencing working across the creative, technical and business areas of the production, designed to develop a continuous flow of skilled and creatively ambitious craft and technical crew. In a 2014 poll in USA Today, Scotland was voted the world’s Best Cinematic Destination, but there’s much more to our film and TV industry than lochs and mountains. Want magnificent Medieval interiors? We’ve got them - Aberdeenshire alone is home to more than 300 castles. Hunting for a jaw-dropping railway viaduct - catch the Hogwart’s Express through scenic Glenfinnan. Looking for somewhere to double as the Vatican, or the Kremlin? We’ve got that covered - the magnificent Glasgow City Chambers has already played those roles. Want to close off a whole city block to film a car chase? We can help with that too - two of the Fast and the Furious films have shot sequences in Glasgow. Outlaw King isn’t the only historical epic to emerge from Scotland this year. Next up is Mary Queen of Scots, starring Saoirse Ronan as the tragic royal, and Margot Robbie as her cousin, Queen Elizabeth I. The film, which cost an estimated £25m, is scheduled to be released in the United States in December 2018, and in the UK in January 2019. Figures from Creative Scotland show spending on film and TV productions in Scotland soared to almost £100m in 2017. This is compared to £45m in 2014 and £23m in 2007. Much of that growth is thanks to the global US TV hit Outlander, which has been shooting on location in Scotland, and in its own, purpose-built studio, in Cumbernauld, since 2013. As well as bringing important inward investment and jobs, the drama has also generated a new wave of tourists, all keen to visit and photograph the show’s locations. These visitors, known as ‘set jetters’, have helped open up a new, year-round revenue stream for Scotland’s tourism industry. Film tourism is booming in Scotland. Film and TV productions not only showcase the unique mix of stunning landscapes, rich heritage and fascinating stories Scotland offers, but can inspire set-jetting fans to visit, with research showing that one in five visitors come here after seeing Scotland on the big and small screen. Now in its fourth season, the Outlander juggernaut, and its knock-on benefits for the Scottish economy, show no signs of slowing. The great thing about Scotland as a film and TV location is its adaptability. With its wealth of stunning architecture, historic towns, and buzzing cities, we can pass for almost anywhere. 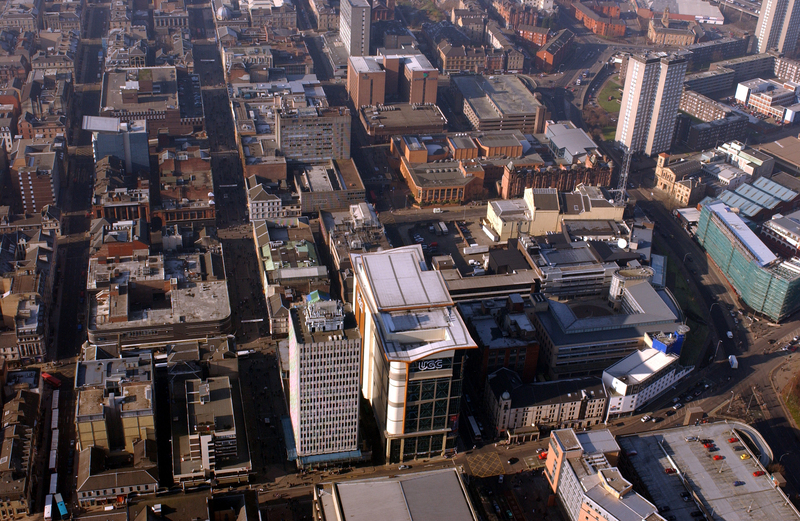 In recent years Glasgow, with its traditional grid street layout, has doubled for Philadelphia (World War Z); London (Fast & Furious spin off Hobbs and Shaw); Stockholm (The Wife); San Francisco (Cloud Atlas); and New York (Florence Foster Jenkins). Want to get away from it all? Within half an hour of the city you can be filming on the banks of Loch Lomond. Filming on Avengers: Infinity War, part of which was shot at several locations in Edinburgh, including the Royal Mile and Waverley Station, was estimated to be worth about £10m to the local economy. Scotland has even bigger ambitions when it comes to making movies. Screen Scotland, the country’s Government-backed film unit, has a budget of £20m. Led by former British Film Institute executive Isabel Davis, the unit has been charged with more than doubling the value of our film and TV industry from the £69m recorded in 2016, to £160m by 2022. Screen Scotland head Isabel Davis believes that with more and more digital and non-traditional broadcasters entering the film and TV production market, Scotland isn’t resting on its laurels. Our universities are already turning out a stream of tech-savvy, work-ready graduates, while our existing digital games industry is finding new ways to capitalise on their creative talents. On top of this, Creative Scotland also offers a range funding and distribution options for UK productions, and can point incoming productions in the direction of a wealth of experienced local producers, directors, cast and crew.